J-Q » TheoX's Site of Miscellany - Because random is fun. (PC) ___ La-Mulana is a one of the motherships of metroidvania games. It's a platformer that's extremely difficult and unforgiving, but at the same time, very rewarding and involving. You play as the archaeologist Lemeza, who's trying to find treasure and better his father, setting out with just his computer and trusty whip. What I love about La-Mulana is its focus on exploration. This is one HUGE game, it's got at least 20 areas with more than 30 screens (some have a LOT more). There's a ton of puzzle-solving to do, a heap of items to collect, and a myriad of different enemies to fight. 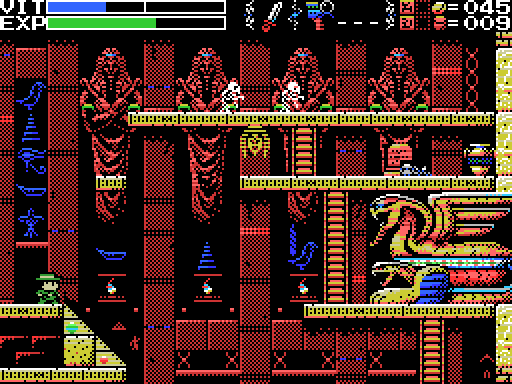 Eight bosses will have to be overcome before you finish the game, each with different variations on the same boss song. The music in La-Mulana is to be applauded - it has one of the best chiptune scores I've ever heard. Songs match their areas perfectly, with chilling egyptian-sounding tracks to epic, ambient songs. ___ To continue about the diffidulty, I couldn't finish La-Mulana without a walkthrough, and I recommend everyone else at least start the game with one too. But I still had so much fun playing through the game that, to this day, I consider it one of my all-time favorite platformers. There's just so much to love. Click "Download the game" and unzip it somewhere. Then click "v1.01 patch" and run the patch to translate the game from japanese to english! (PC) ___ I found about about Love wh... actually I don't remember how I came acorss this little gem. But I'm glad I did. The first Love was a little platformer where you had 100 lives to complete 20 levels. 100 lives sounds like a lot, but the game was quite hard. It would let you set your spawn point as you walked, so if you fell off a cliff or into some spikes, you'd jump back to the last spawn point. 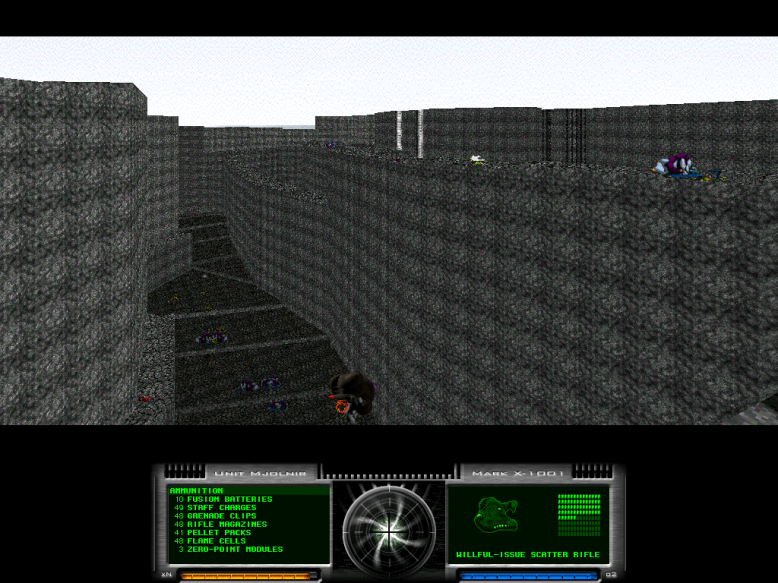 So basically, the game's controls just consisted of moving, jumping, and setting your spawn. But oh what a beautiful simple game it was. The levels were remarkable little pixelly masterpieces, and the music, composed by James Bennett, was quite serene and amazing as well. ___ Why am I talking about Love in the past tense, you may ask. Well, recently I discovered that Fred Wood, the game's creator, had released an updated version, titled Love+. Having just played this new Love, I am very impressed. It got rid of all of the glitches of the original, updated a few sprites here and there, and threw many levels out for new ones. The old music by James Bennett is still in Love+, for which I am very glad. Each song has a level in which it shines. Sometimes I don't want to leave a level because it's so nice to listen to the music and look at the scenery. ___ One neat point of Love+ that wasn't in the original is the new leaderboard for the game, where players can submit their scores. As of this writing, I currently occupy the number one slot with 5540 points (that's 5000 points for game completion + 54 lives left!). Love+ is just as charming as the original, I'll have to play it more and get a better score! I think I'm in love? Love+ is a game for sale, but for whatever you'd like to pay (minimum is $1). There's a 5-level demo if you're not sure about it. Visit the homepage here! 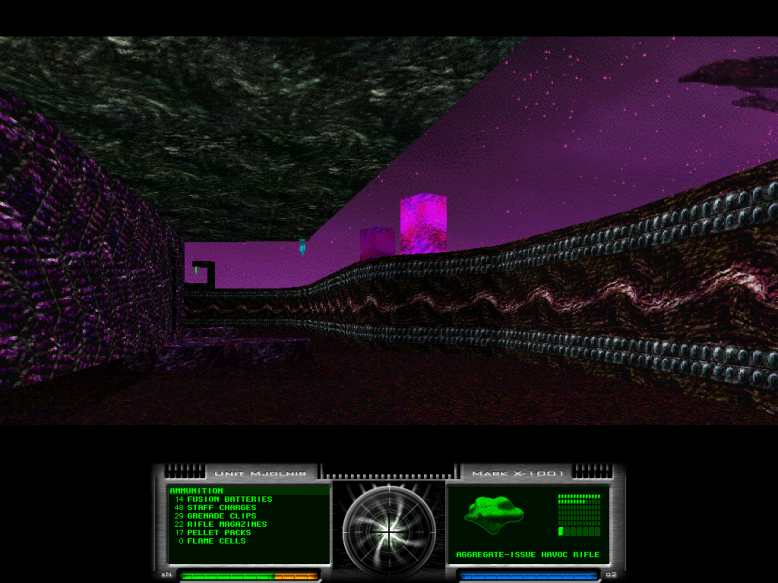 Lyle in Cube Sector (PC) ___ Let me just say, I love old pixely games (or games of that graphic style), and I love the theme (or apparent theme) of being inside of a computer. For some reason LiCS reminded me of that. So I love the graphics. I also love the music - this game is how I started listening to chiptunes. And the gameplay is just fantastic. I love "metroidvania" games - nonlinear exploration with powerups to find and lots of secrets. In short, this game melds a lot of my favorite things about a game. Also, did I mention how hilarious it is? The premise is that you have to rescue your cute kitty that got stolen. A priceless game! ___ The Marathon series made its debut on the Mac way back when there was only OS7. 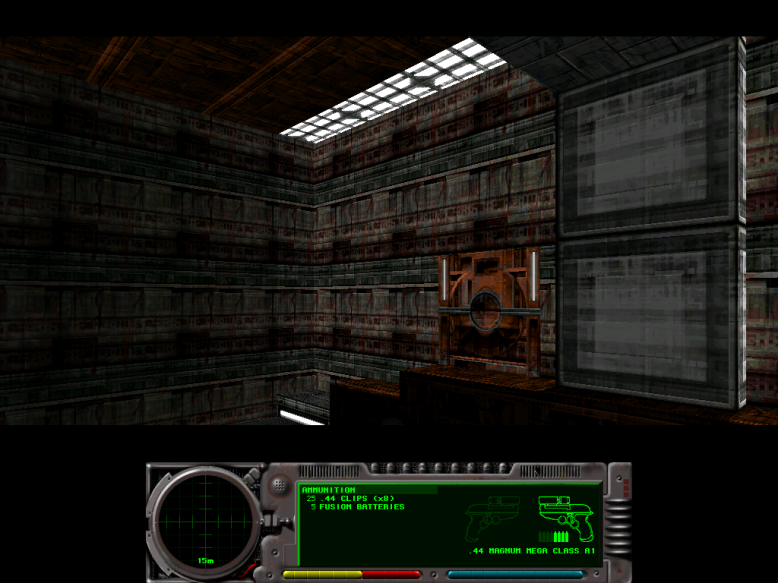 At the time, it's engine surpassed that of any other shooting game, and set the standard for the genre, sparking similarities in DOOM and other games. There are 3 original Marathons, although now there are many mods. ___ The first Marathon was very atmospheric and had background music (which inhanced the mood). I remember thinking it was very creepy. ___ The second Marathon got rid of the background music, which kind of made me sad, but made up for it in gameplay - new weapons, and greatly designed levels with nice new graphics that didn't lose too much of the earlier style. 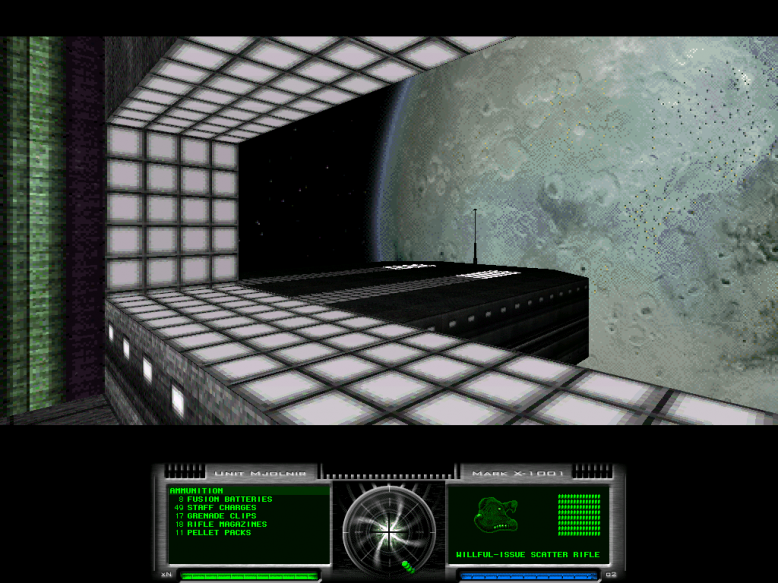 ___Classic mac game, but can also run on Windows and newer Macs now, thanks to a nice little open-source program of the name Aleph One. It allows multiplayer with anyone on the internet. My favorite FPS game by far. ___There are many third-party scenarios of Marathon, some with new weapons, enemies, and textures, some without. 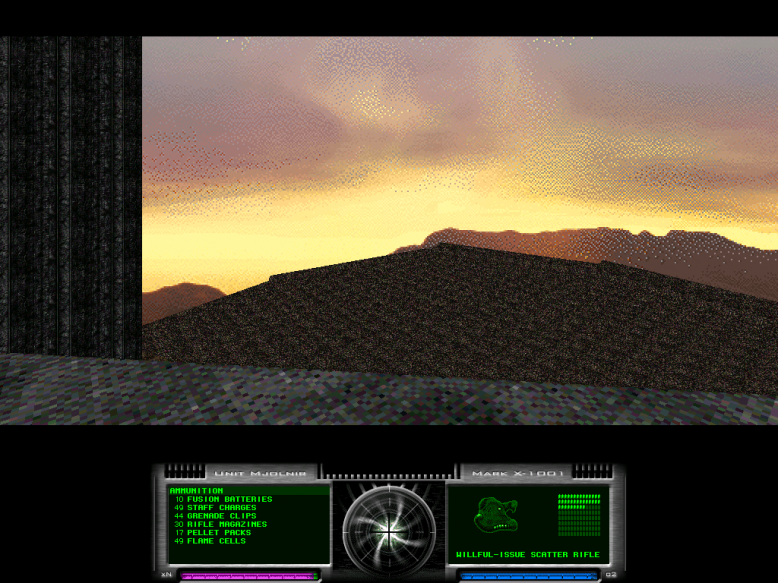 Marathon Eternal is, by far, my favorite of said scenarios. I have a lot to say about it. ___ First of all, it has background music, and what excellent music it is. The music tracks are enhanced remixes of tunes from the original Marathon, mostly. They come with the game, and in mp3 form. Went straight to my mp3 player. Some tracks are great for falling asleep to - Chomber, Landing, and a few others. Really beautiful and atmospheric! ___ Next is the level design and texture sets used - they are as gorgeous as the music is beautiful. The alien ships really have their own unique form for the series, and have just the right amount of colorfulness. The outdoor levels are even greater looking - high rock walls and tall, futuristic structures really stand out in my mind. ___ Next, the weapons - some towards the end are a bit overpowered, but this series wasn't meant for multiplayer. Anyway, they are given to you at a good pace - and are all quite unique. Unlike some other Marathon scenarios I've played, in Eternal basically all of the weapons are useful at different times. My favorite was the old enforcer "pellet" spreader. So much fun! 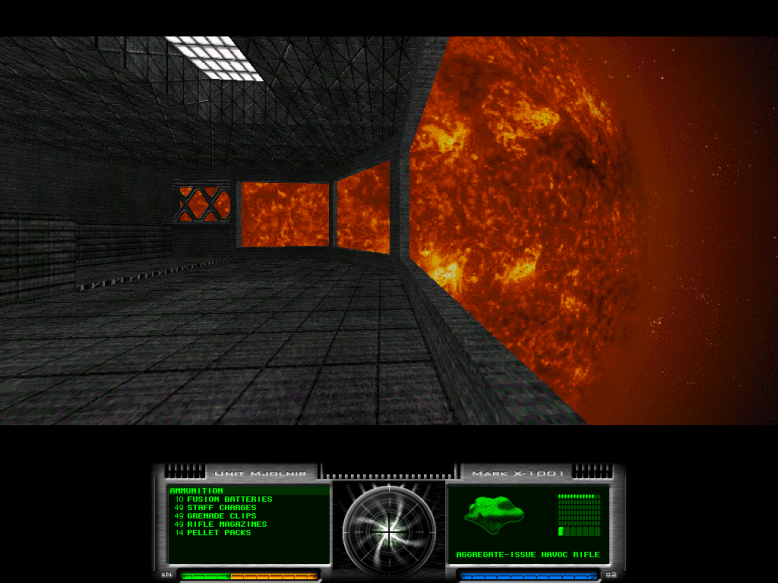 ___ The enemies in Eternal are an interesting case and make the game quite unique - the scenario blends old Marathon 1 sprites (the old pfhor enemies, hulk, wasp and tick) with some from Marathon infinity. 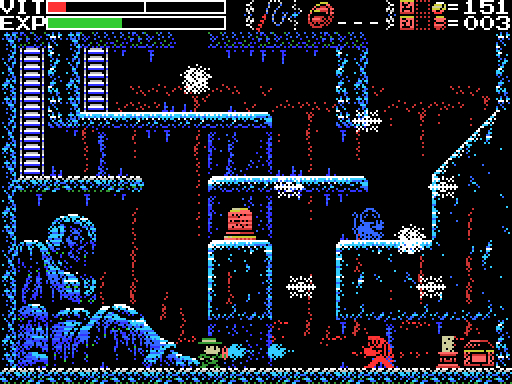 Then, in the last six or so levels, it throws a whole new mad set of enemies at you. The level where that happens it awesome - they come in droves. ___ Now for the storyline - to say the least, it's quite engaging. Nothing I can say can really describe what goes on -it's very complicated, involving, at at times deeply psychological. There's some nice writing in there. Depending on what choices you make, there are a bunch of "dead ends" you can get during which you go through a few extra levels. ___ Marathon Eternal left a great impression on me. It was greatly designed and wasn't too hard (hint hint Marathon Rubicon!!). I'll play through it again someday.